And another said: “Words cannot explain how we all feel as you were a true friend to us all and you did many good things for us all and helped us out in ways others would not. “You were at the top but still had time for us at the bottom. Just to know you and call you a friend was an honour. The respect you had for others around will be very missed. We all turned to you in our times of need. And now we all seem so lost now you have gone.”‘King of the Hill’ who was found shot dead in the Cheshire mansion of a controversial businessman Arran Coghlan. 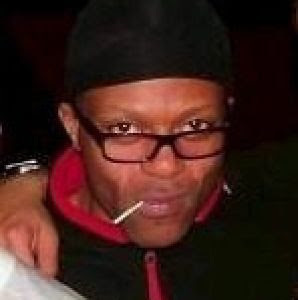 Stephen ‘Aki’ Akinyemi, 44, was said to be a prominent member of the notorious Cheetham Hill gang, which is believed to be behind major crime and the supply of drugs in Manchester.He was known for enjoying champagne and cruising Manchester’s clubland in his silver Porsche, with the private registration AKI.He had a string of previous convictions and most recently had been jailed for 13 months in 2006 for violent disorder.At the time of his death, he was on bail for allegedly attacking someone with a baseball bat outside the Lounge 31 nightclub in the city centre in November.He was found with serious stab injuries at Mr Coghlan’s Alderley Edge home on Tuesday afternoon. He was wearing a stab vest.But a post-mortem examination revealed he had died of a gunshot wound, not knife injuries.Mr Coghlan was also discovered with stab injuries at the scene and he was taken to hospital under police guard. He was later discharged although he remains in police custody after being arrested on suspicion of murder.Last night a tribute page to Mr Akinyemi on social networking website Facebook, titled ‘RIP AKI’, had more than 600 members. And another said: “Words cannot explain how we all feel as you were a true friend to us all and you did many good things for us all and helped us out in ways others would not.“You were at the top but still had time for us at the bottom. Just to know you and call you a friend was an honour. The respect you had for others around will be very missed. We all turned to you in our times of need. And now we all seem so lost now you have gone.”Mr Coghlan was cleared in 1996 of murdering Stockport ‘Mr Big’ Chris Little, who was shot dead at the wheel of his Mercedes.In 2003, Mr Coghlan stood trial for the murder of drug dealer David Barnshaw, who was kidnapped and forced to drink petrol before being burned alive in the back of a car in Stockport in 2001.But the case collapsed when it was revealed police had failed to pass on important information about another possible suspect. 0 Response to "“RIP King Of The Hill.”"